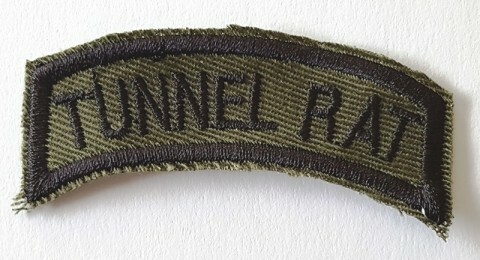 Tunnel Rat Tab, Subd. Twill. Sometimes worn over the official shoulder sleeve insignia. US Unofficial "Morale / Party Suit" Patches.